The summer 2014 issue of Serial Killer Quarterly will be out soon! “Unsolved in America” will feature stories by Harold Schechter, Michael Newton and more! “Canada’s Killer Countryboy?” – Check out my story about clean-cut “country boy” Cody Legebokoff, who at the age of 21 was charged with the murders of four women in western Canada. Is his guilt a certainty, or is there more to this story than meets the eye? You can follow the murder trial on Twitter at #Legebokoff. Issue #2 – Triple feature! Serial Killer Quarterly, “Partners in Pain” recounts the gruesome tales of 15 serial murderers operating in 7 different teams from 19th century Scotland to 21st century Santa Monica. 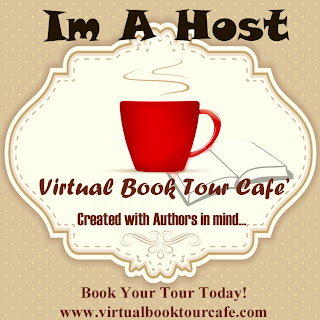 Bestselling author Cathy Scott guides the reader through the fog choked alleyways of Edinburgh, to peep behind the door of an infamous rooming house where Irishmen William Burke and William Hare fatally suffocated up to 25 people in 1828. 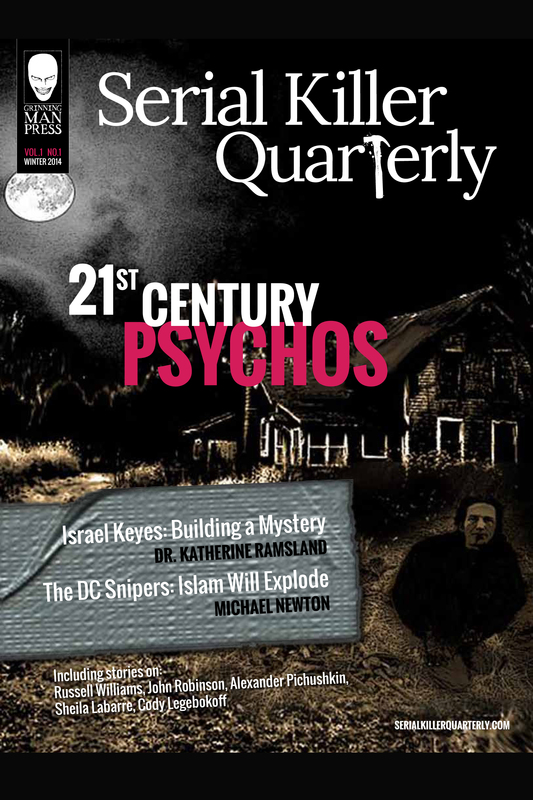 Serial Killer Quarterly “21st Century Psychos” – The Killer New E-Magazine is here! Serial Killer Quarterly – the killer new e-magazine is here! 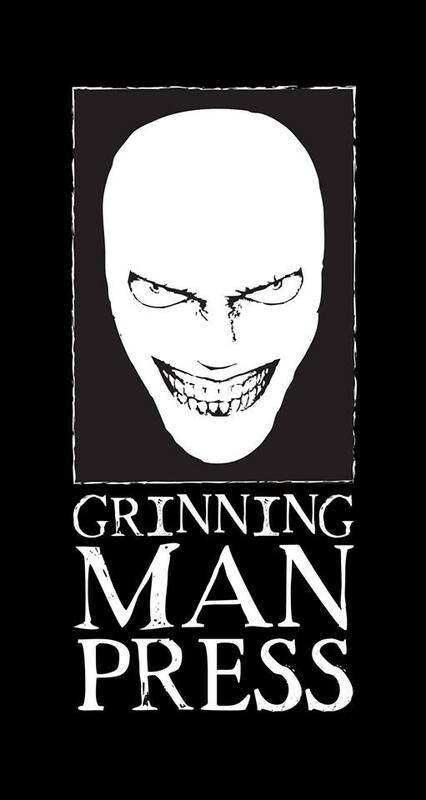 76 Pages of Murder and Mayhem! Order your copy or better yet subscribe to Serial Killer Quarterly for only $19.99/year (four issues), and save $12 annually! 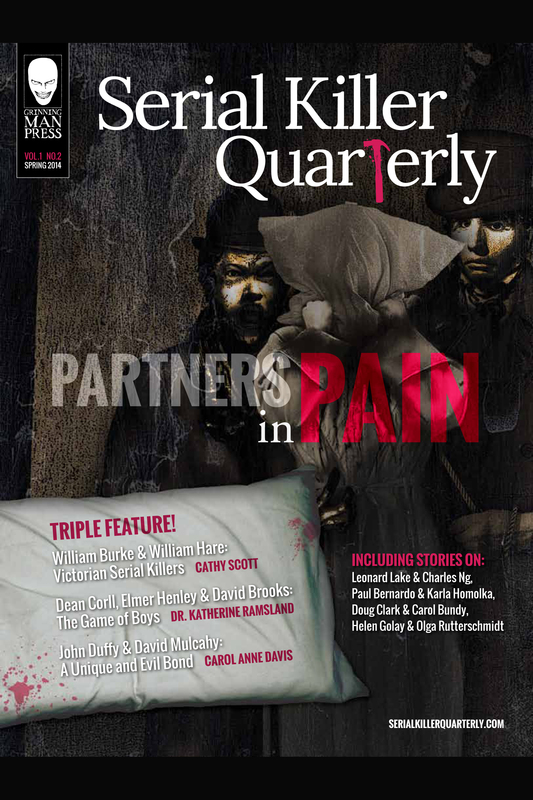 Spring 2014 – “Partners in Pain” – With feature stories by Cathy Scott, Carol Anne Davis and Dr. Katherine Ramsland .